Shot in Prague this spot had a multi-pass shot, the first layer being the actress in the kitchen and the second with all the astronauts floating in the air. For the second layer, multiple passes with the astronauts were needed so that they could be duplicated. 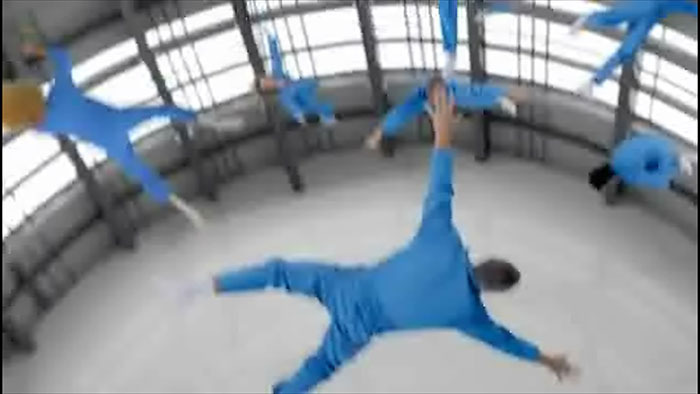 As it was more efficient, we offset the move instead of the actors into different positions and having to change their rig points for the stuntwires for each pass. The passes with the astronauts presented another challenge since the camera would have to point at the ceiling. 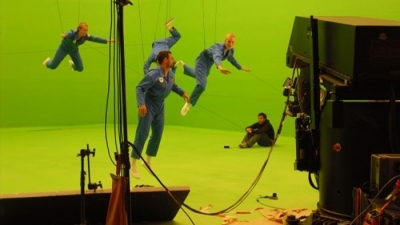 We rotated the move on the motion control rig so that the actors could be placed and shot against the green screen, which then combined with the first layer created the desired effect of a bunch of astronauts floating up in the air. The shot ended up looking pretty cool - and the astronauts agree!